Functionalism is the cornerstone of Scandinavian design, providing the groundwork for an expansive celebration of form, where graceful objects are crafted with minimalist refinement and mass appeal. 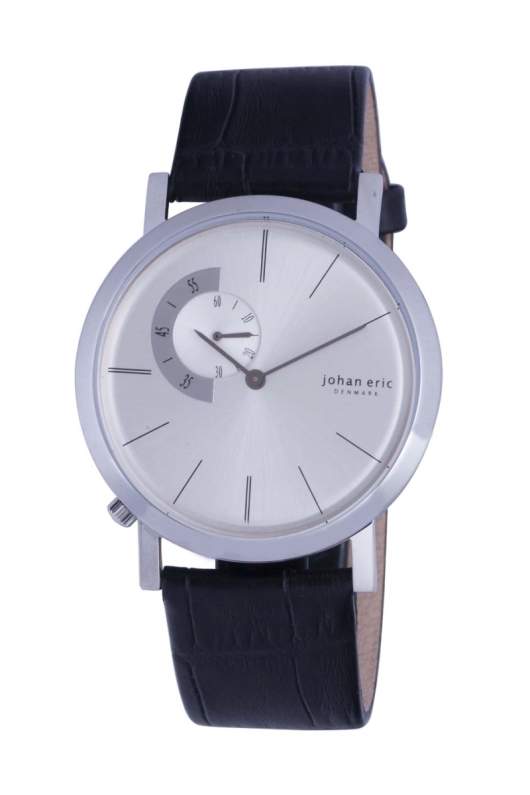 Johan Eric is a Danish watch brand that holds the pillars of minimalism in high esteem. Like the diverse city of Copenhagen that provided inspiration for the brand, a Johan Eric watch is a unique blend of the classic and modern-minimalist. The brand’s design aesthetic consists of proportionate, clean-lined watches that – like the German Bauhaus movement of the 1920s – strive to achieve a harmonious union of function and form. The Johan Eric brand, and so much of modernist art in general, was heavily influenced by Bauhaus, which originated in large part as a result of the events of the early 20th century. Living through the upheaval of war, for example, compelled artists to break from traditional constructs and stemmed multiple art movements, including Bauhaus. Thanks to its continued relevance in the 21st century, Danish design is flourishing in countries around the globe, including the United States, where minimalism enjoys renewed interest in both arts and architecture. Johan Eric uses some of the finest watch-making resources available, culminating in quality, valuable timepieces. 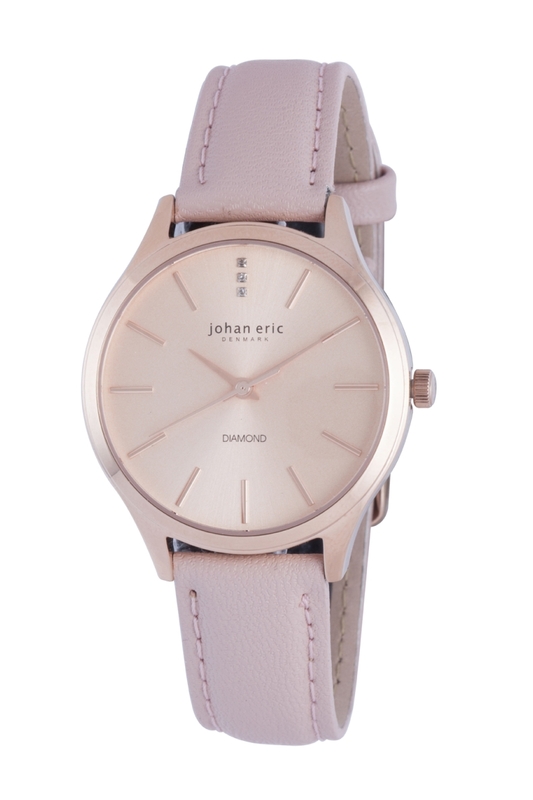 Johan Eric’s fine craftsmanship combined with its high-quality materials, such as Mother of Pearl, 316L stainless steel, genuine leather, mineral crystal and natural diamonds establishes a watch value that is unheard of at its price point. The watches in the Johan Eric collection are named primarily after Denmark’s cities and towns, maintaining the brand’s lighthearted spirit throughout. 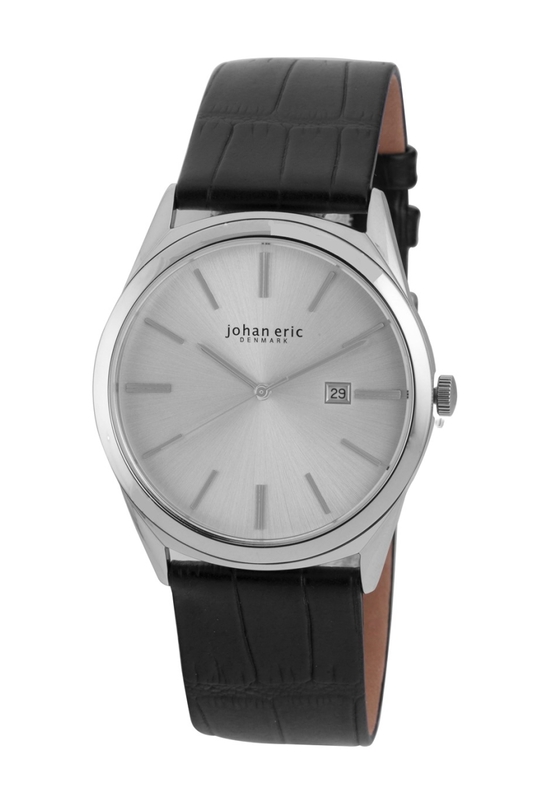 Johan Eric crafts its watch cases from stainless steel. Most collections feature models with IP plating including colors such as rose or yellow gold, brown, gray and black. The brand’s popular mesh bracelets also come in versions with IP plating including two-tone variations. 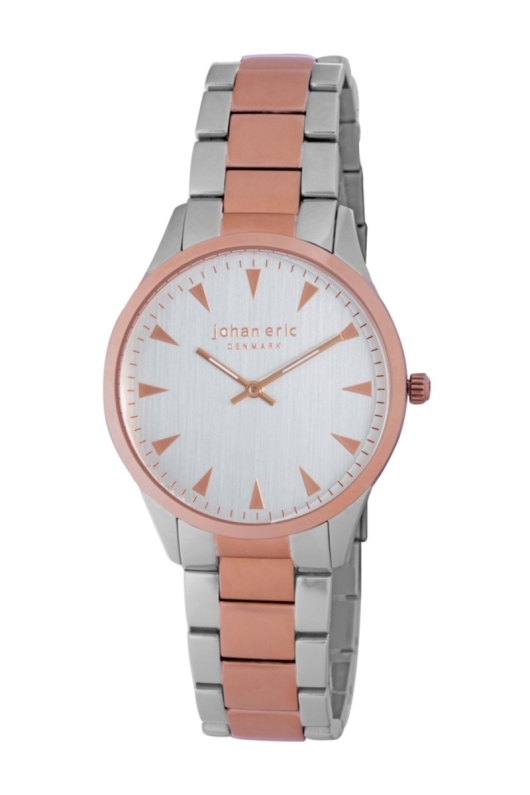 Johan Eric watches are powered by durable, high quality quartz movements. A mix of modern and classic elements form the design of Køge watches, named after the historic seaport of the same name. 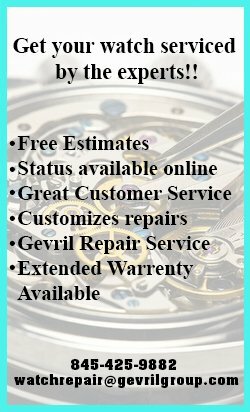 These models have neatly arranged dials with applied Roman numerals on the chapter rings and precise-looking hydraulic stamping patterns in the centers. Elegant leaf-style hands are another nod to the traditional. The splendid dials stand out well, thanks in part to the contrast between the 40 mm cases and the distinctly narrow 18 mm leather straps. The town of Struer grew exponentially upon the arrival of the railway in 1865 and now functions as one of Denmark’s most important railway junctions. Struer watches feature junctions of their own, namely, the intersection of sub-dials – pointer-dates at 12 o’clock overlap pointer-days at 9 o’clock, and 24-hour sub-dials at 6 o’clock. The cases are 38 mm in diameter; the dials are white or black, with red minute markers and accents. Streur watches are mounted on black calfskin straps. Herlev is a youth-friendly Copenhagen suburb. Herlev women’s watches embody youthfulness with two bright and playful styles – the Herlev and Herlev Slim. Both utilize 35 mm cases and share the same dial design, which includes three diamonds at 12 o’clock on an otherwise affable and open pane. The significant difference between the Herlev and the Herlev Slim is the case lugs and straps: the lugs are super narrow on the Slim models to accommodate slender 6 mm wide leather straps, which totally changes the appearance. Vejle is a city best known for its shopping. 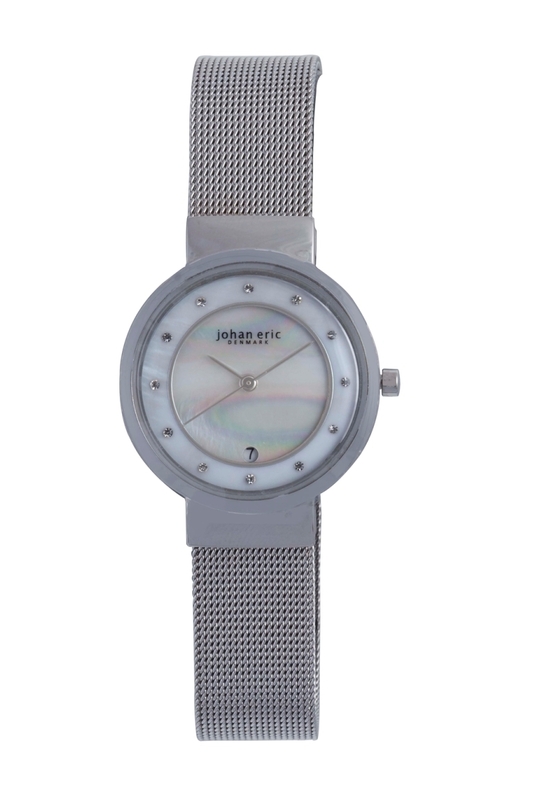 To set the mood – and agenda – for a day of indulgence, Vejle watches are vibrant pieces of wrist candy. 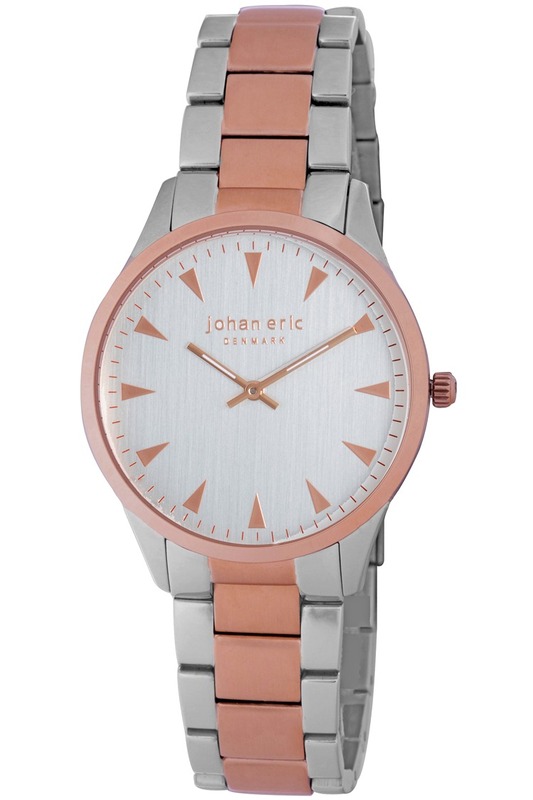 The design is quintessential minimalism, with Bauhaus numerals in bright colors and dials that feature a satinized texture in silver or raspberry. 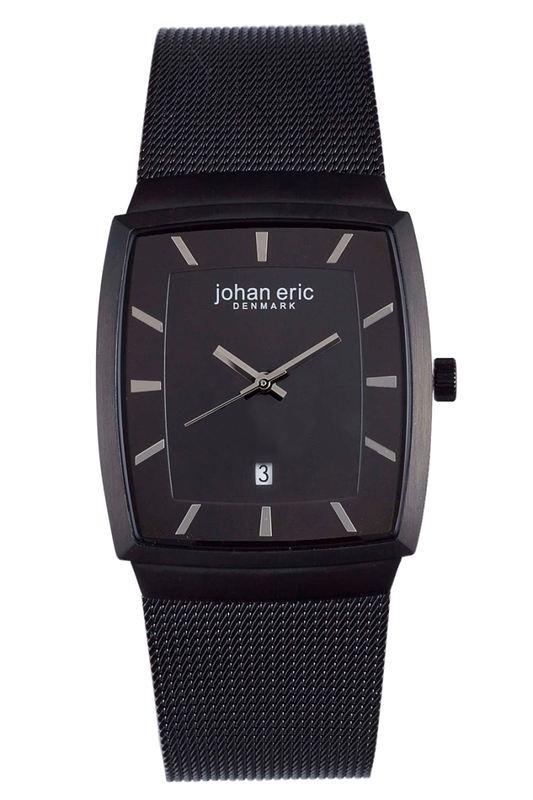 A black dial also exists for those with more nocturnal sensibilities. 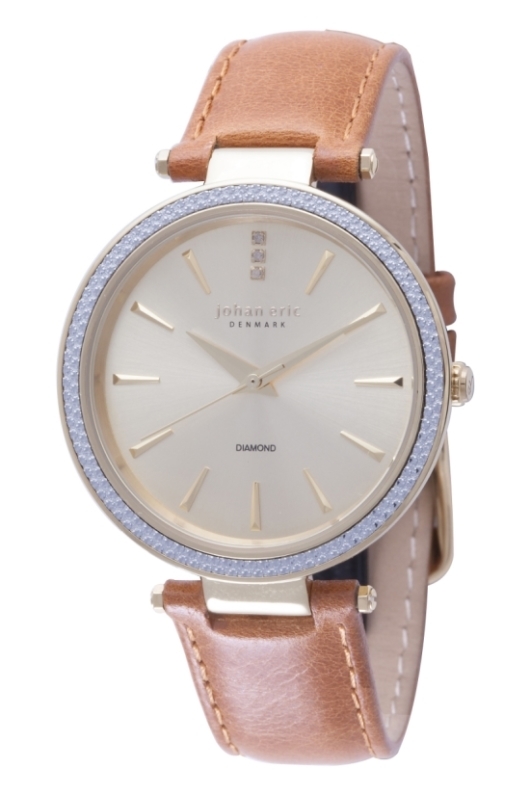 Vejle Diamond watches share the same case size (41 mm) as their siblings but have a different dial, featuring 30 Swarovski crystals in a ring to separate the inner and outer areas of an otherwise white and cheerful dial. 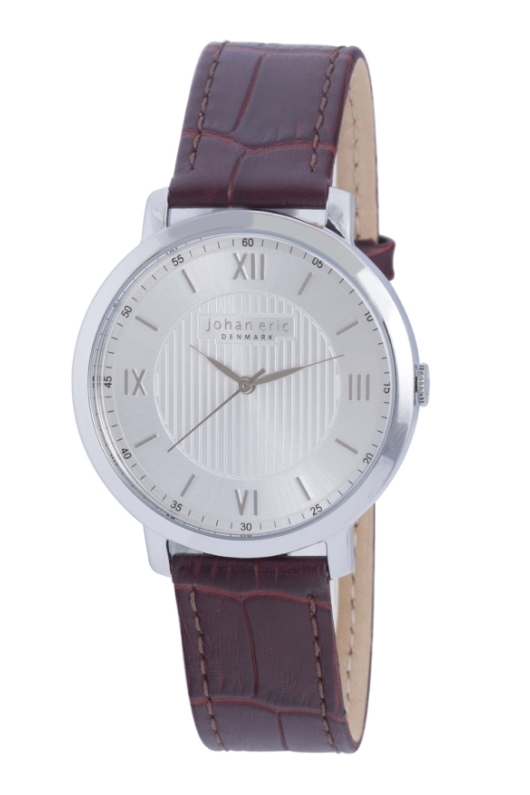 Vejle watches are paired with leather straps. Viborg, in central Denmark, is one of the country’s oldest cities, and like the city, the Viborg collection of watches has an enduring look. The dials are three-handed, with tidy baton hands and hour markers to guide the passing of time along with date windows in the traditional position at 3 o’clock. The case is 42 mm and the casebacks are engraved with the Coppenhagen coat of arms. 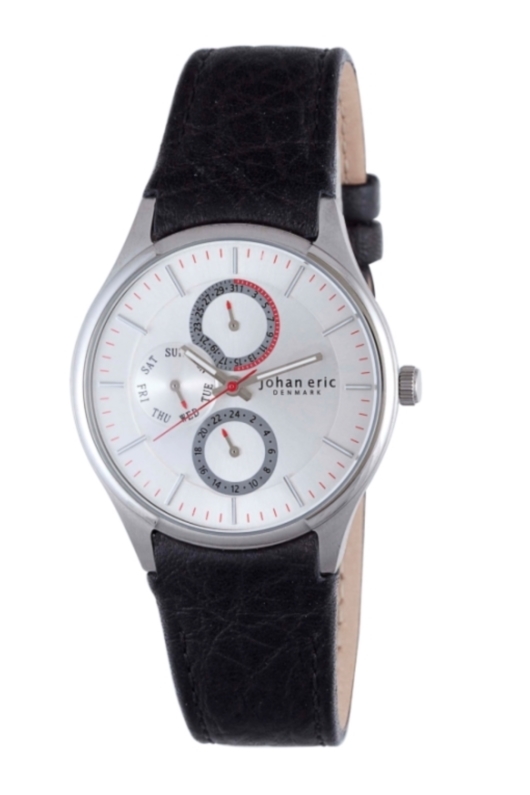 Every model comes on a leather strap with a straight-cut alligator design. As Denmark’s second-largest city, Arhus (Aarhus) is an energetic urban hub, affectionately coined the “City of Smiles,” and smile you will when you put on an Arhus watch for the first time. 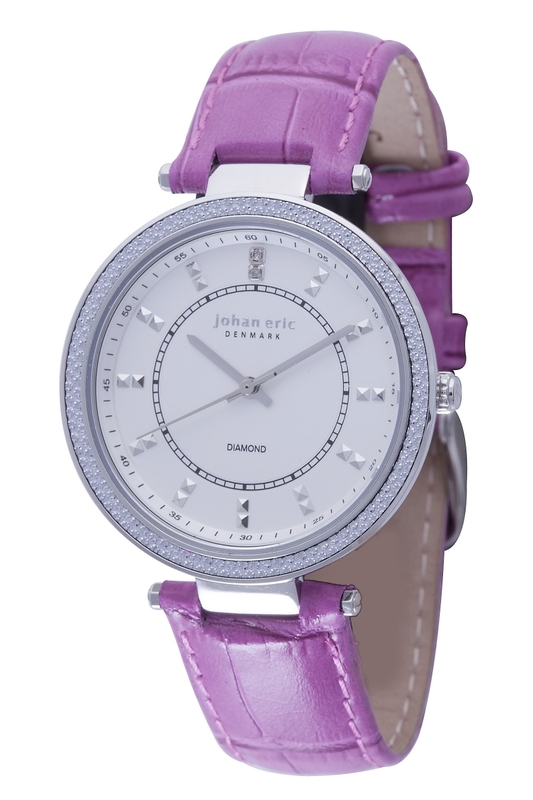 These women’s models feature delicate mother-of-pearl dials with 12 Swarovski crystals. 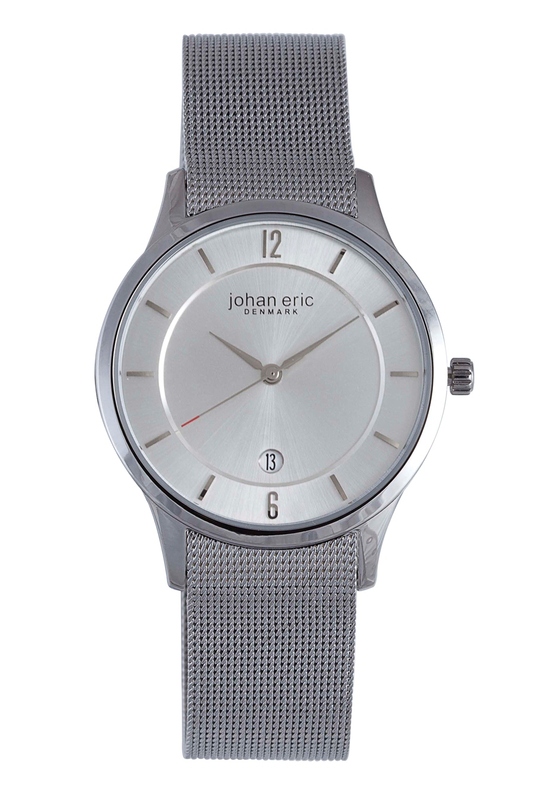 The 29 mm cases pair well with the matching mesh bracelets or calfskin leather straps. The Arhus Diamond model is similar to the Arhus but uses genuine diamonds instead of crystals. 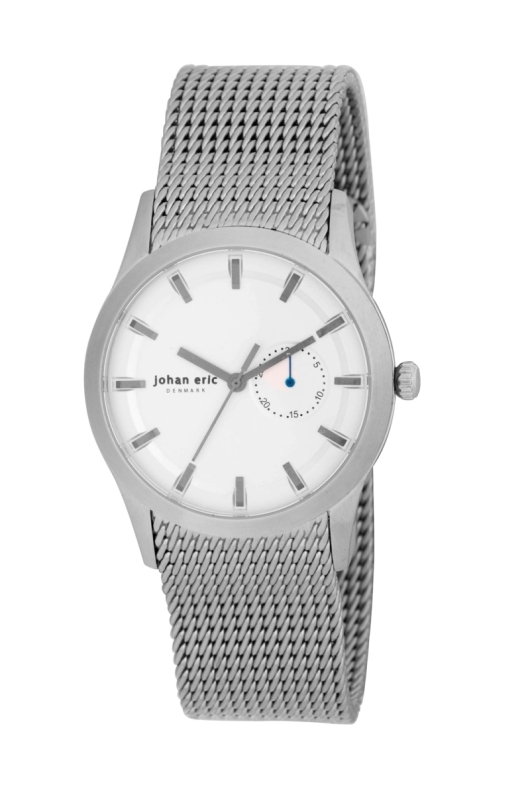 The only watch in the current Johan Eric lineup not named after a city or town, the Orstead collection is dedicated to Hans Christian Ørsted, an influential 19th century physicist and chemist. Yet Orstead watches are hardly academic. 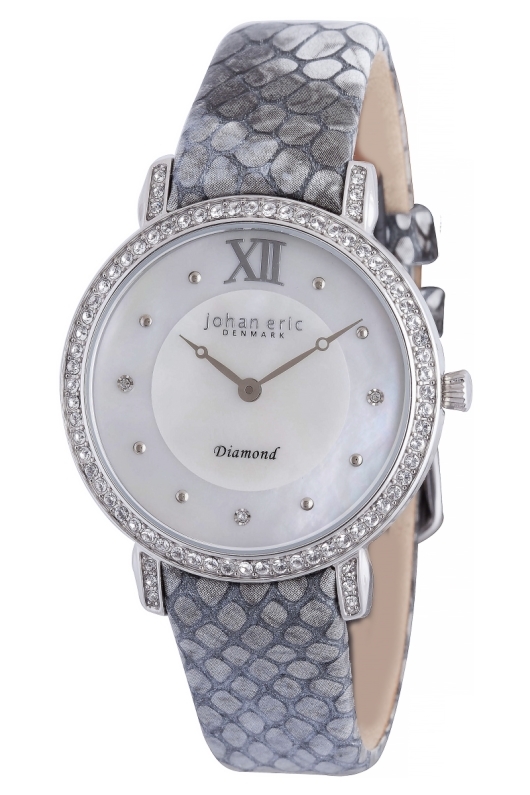 These women’s 35 mm models feature original round lattice patterns on the dials and applied Swarovski crystal hour markers. Matching luminous sword hands contrast well. Orstead models are available on satin or leather straps. Danish minimalism draws inspiration from natural forms: Agersø is a small island in Denmark’s Great Belt strait. Agersø watches feature islands of their own in the form of small pointer-dates at 9 o’clock. The pointer-date floats atop a sea of cool, solid color. Stick-style hands and markers indicate the time. The 42 mm cases are fitted with mesh bracelets that complete the well-composed overall design. The town of Hobro is best known for the Viking ring castle Fyrkat and Hobro watches are inspired by Fyrkat’s symmetrical design. The airy dials in silver or black feature two applied Bauhaus style numerals (at 12 and 6), thin hour markers and date functions at 6 o’clock. 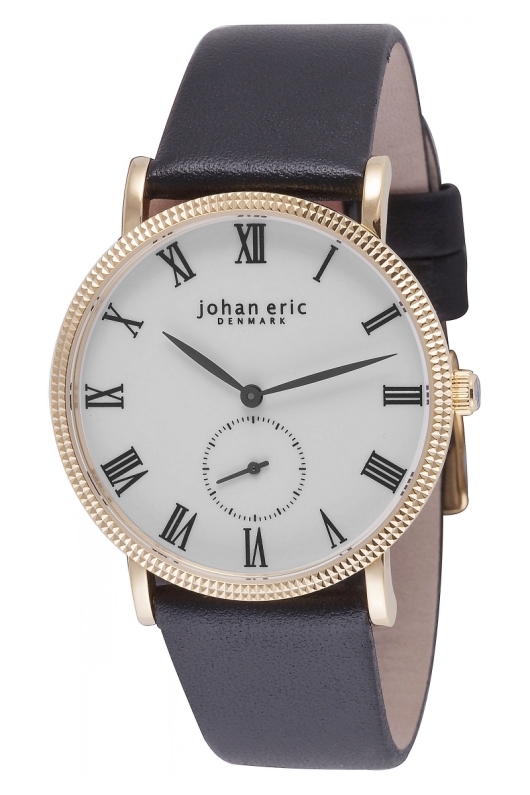 Hobro cases are 37 mm in diameter, available on a choice of mesh bracelets or calfskin leather straps. Helsingør, a city in eastern Denmark, is the famous setting of William Shakespeare’s play Hamlet. But there is nothing tragic about Helsingør watches. 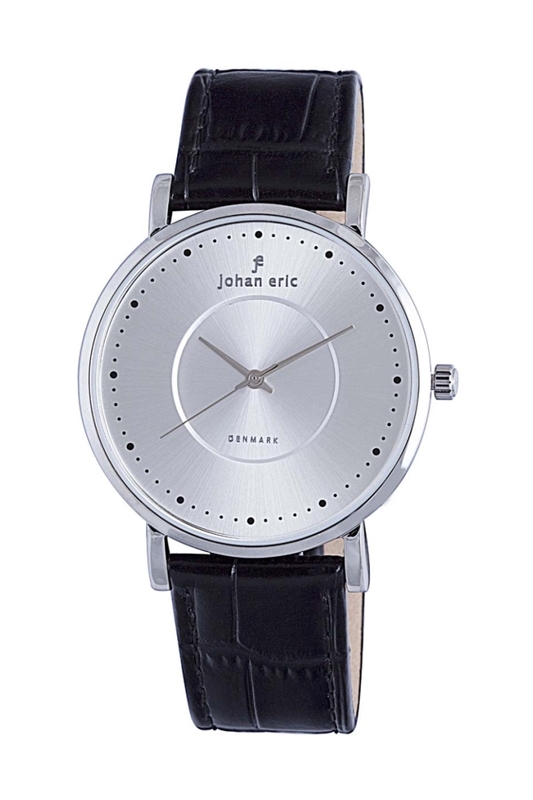 Triangular hour markers fit harmoniously on capacious silver or black dials, which feature nothing more than the Johan Eric logo and thin hour and minute hands. The case is 40 mm. A selection of bracelets and leather straps rounds out the appearance. Naestved is another of Denmark’s cultural centers, located just one hour from Copenhagen. 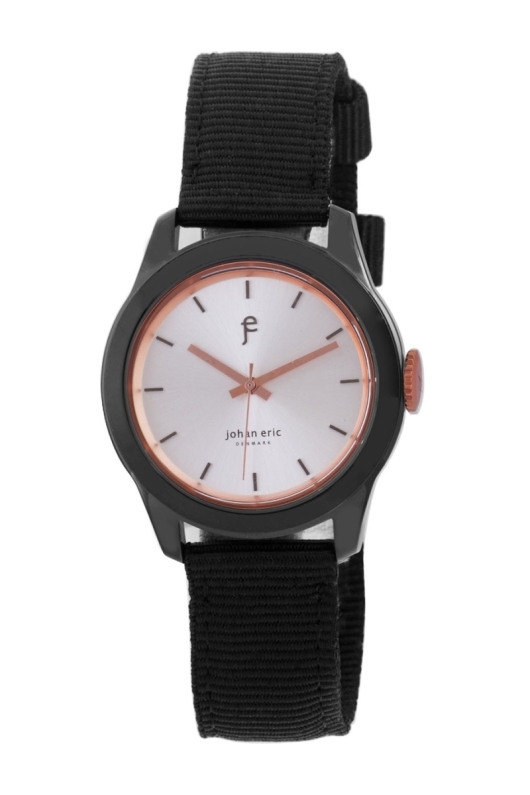 To accompany you on the short journey, try a Naestved watch – perhaps the sportiest of the brand’s offerings. 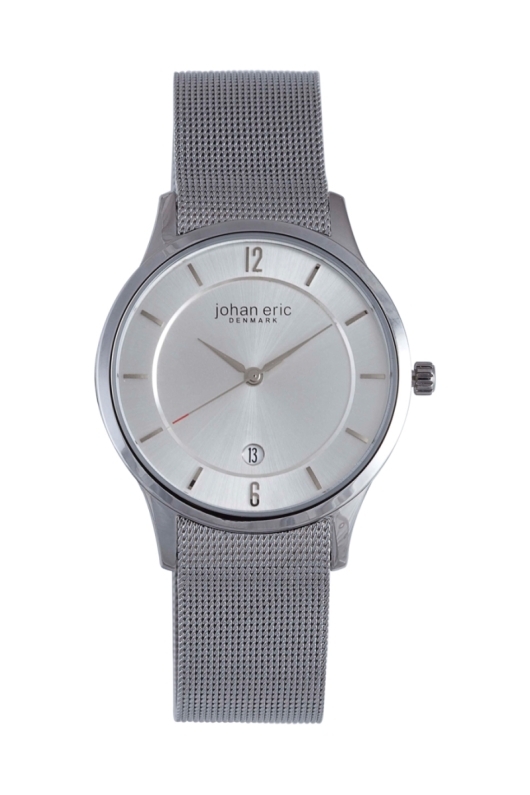 The watches are mounted on canvas straps, which is unusual for Johan Eric, but true to the brand’s capricious, easygoing nature. At 39 mm, these are mid-size, go-anywhere watches. 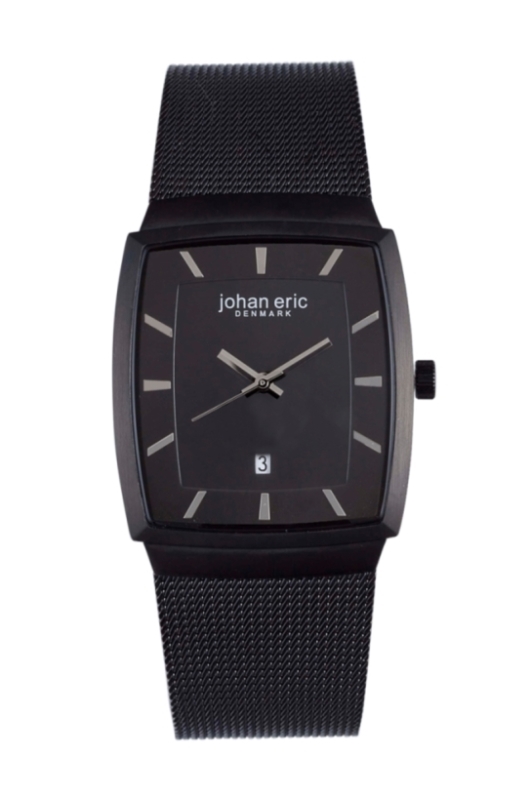 The dials also hold to the brand’s minimalist approach with nothing more than the Johan Eric name and logo. The seaport town of Esbjerg is known for its museums, entertainment spots and universities. 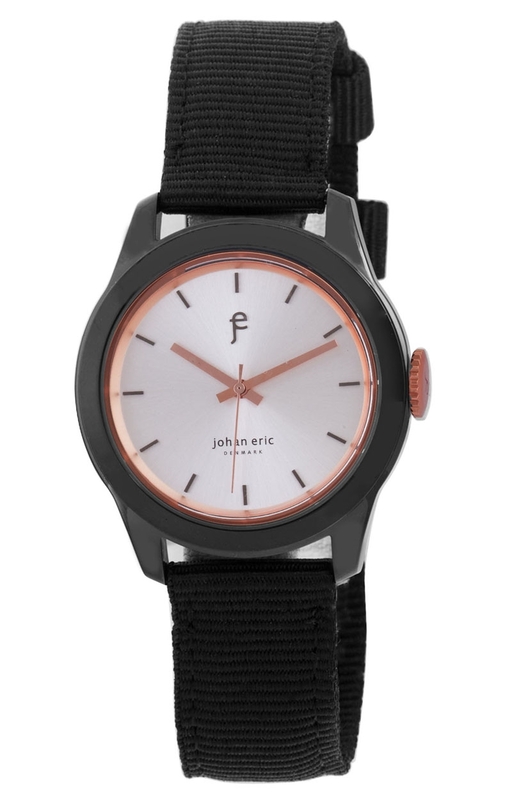 For everyday life in Esbjerg, a watch with an easy, natural appeal is essential. 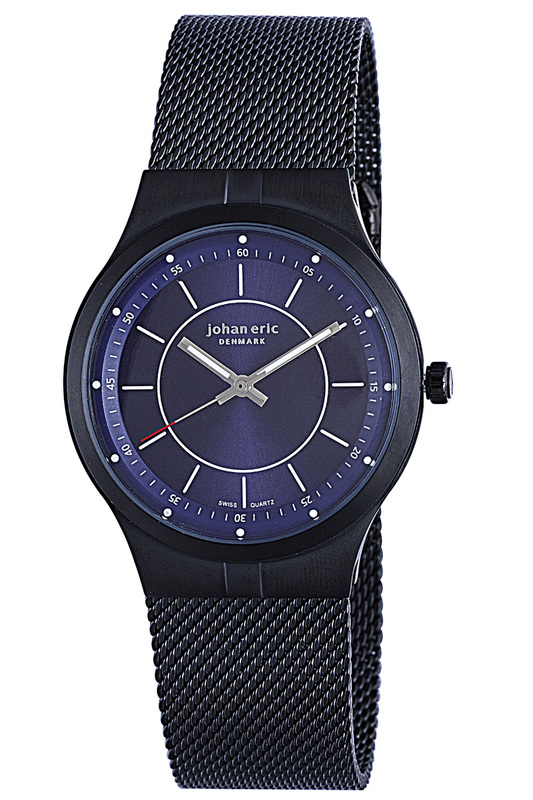 Esbjerg watches have 40 mm cases and smart-looking dials with slick jet-black backgrounds or silver sunray patterns. 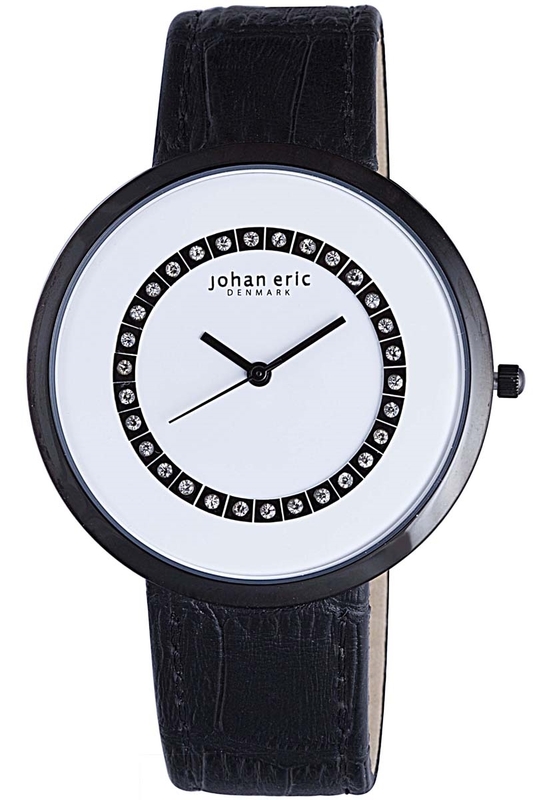 Every model is mounted on a crocodile-patterned leather strap. Randers watches are named after the city of the same name on the banks of the River Guden. The cases of Randers watches are a contemporary 42 mm in diameter with unconventionally placed crowns between 7 and 8 o’clock. The dial designs echo the brand’s minimalist, avant-garde sensibilities: the small-seconds counters at 10 o’clock have markings every five seconds and no markings between the 30 and 60 seconds marks. Together with ultra-thin hour markers and hands, Randers watches achieve a sleek and dressy look. Skive is a small town located at the mouth of the Karup River. Like the town’s population, the cases of Skive watches are a quaint 37 mm, but not without personality. The cases have augmented sections at the top and bottom, which create clean edges where the bracelets or leather straps converge. 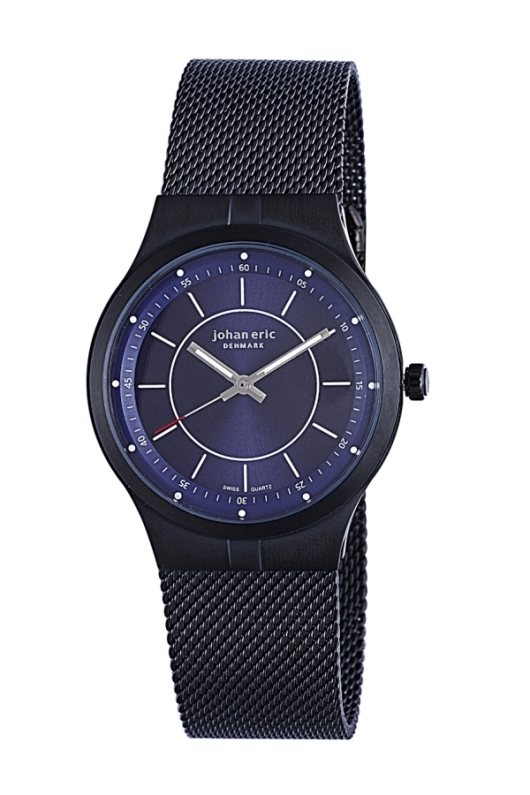 The standard models have carbon fiber dial patterns, in either black or white; the ultra-thin models have slightly different dials. Named after Tønder in southern Denmark – an old market town and significant military outpost in both world wars – Tønder watches are the only tonneau models in the Johan Eric collection. 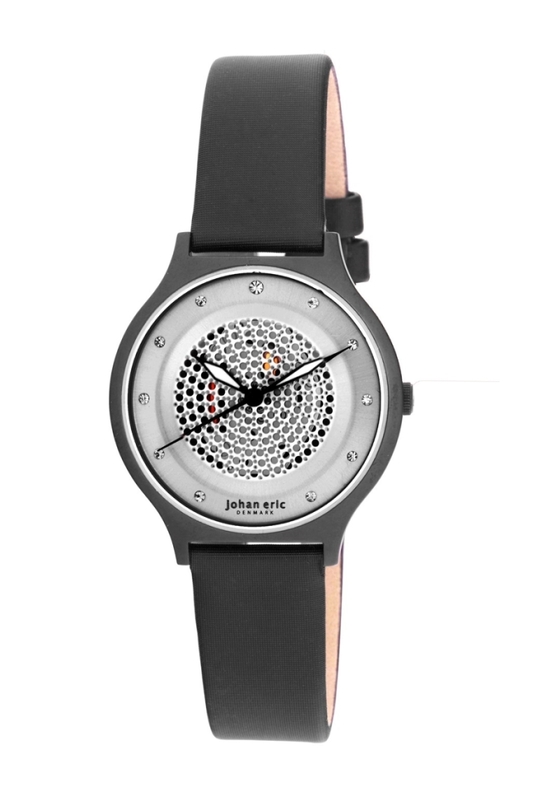 These unpretentious pieces have dials in black, silver or gray; the latter two have sunray patterns. The 44 x 34 mm cases are mounted on mesh straps. 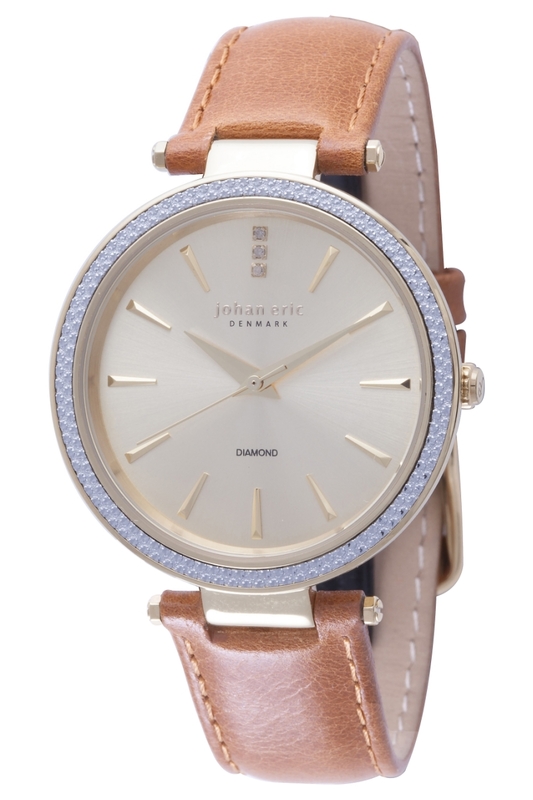 The women’s version of the Tondor is similar in most respects with the exception of size – it’s smaller (25 mm wide) – and features a ritzy dial of pavé set Swarovksi crystals. 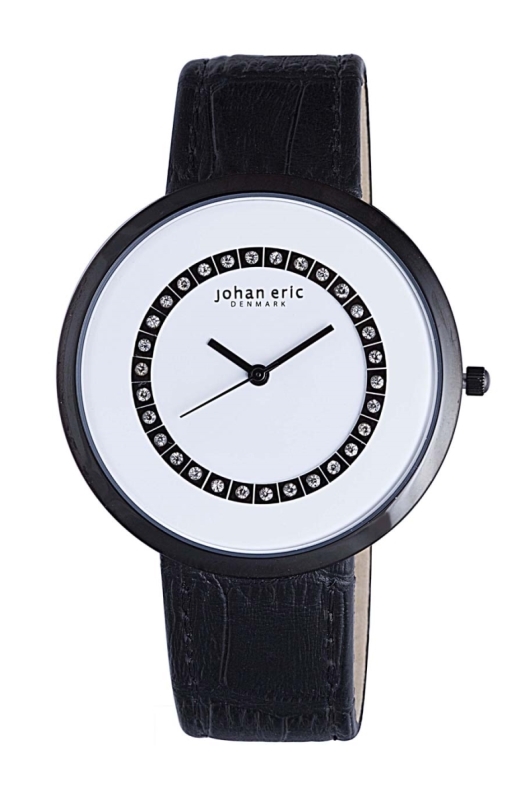 Johan Eric watches are thoughtfully composed and retain the sense of optimism so associated with Danish minimalism. 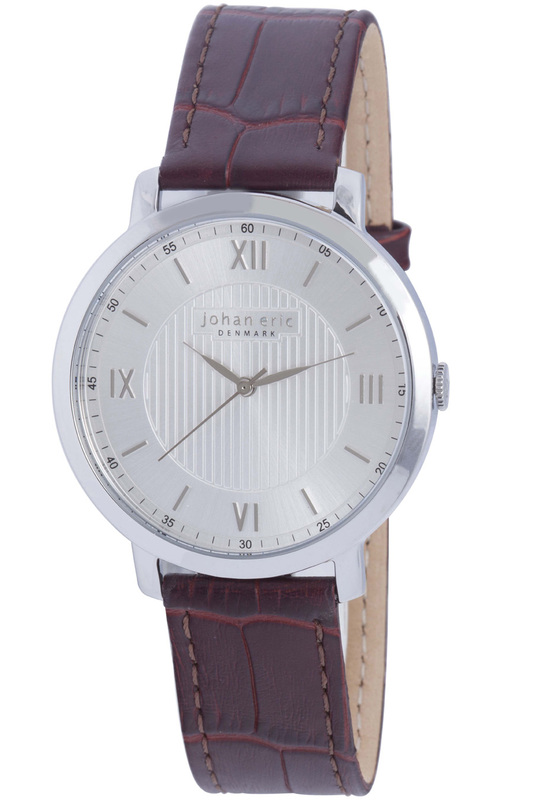 This quality also makes these watches extremely versatile: proportionate and harmonious, Johan Eric watches wear well on formal occasions but slip easily into more casual roles. 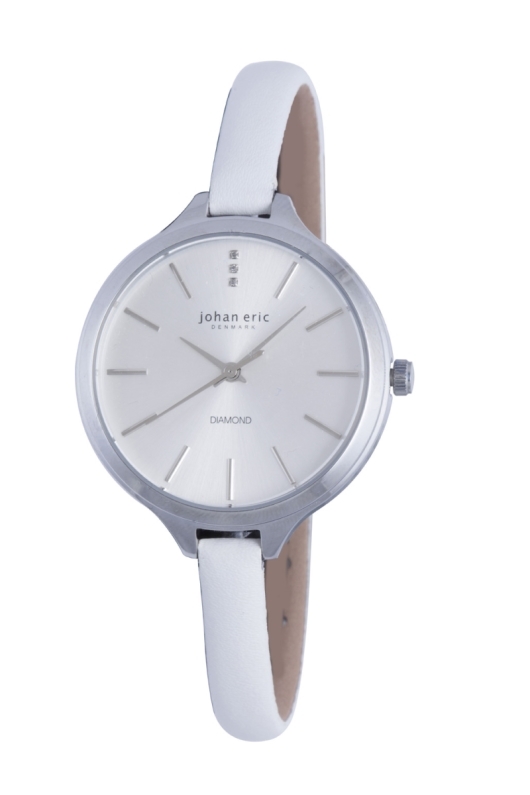 Functional items made beautiful – that’s what you get when you buy Johan Eric. Contact an authorized dealer and pick one up today. Join the conversation! 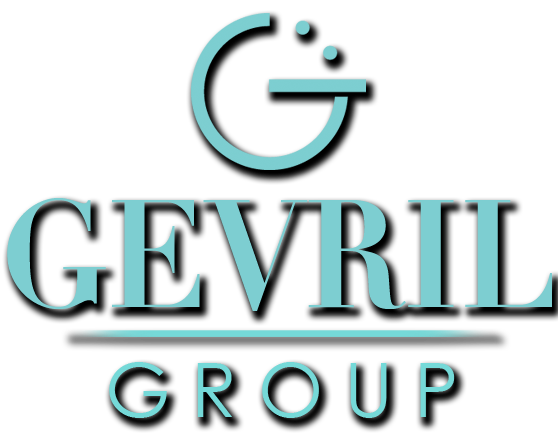 Follow Gevril Group on Facebook, Twitter and LinkedIn. 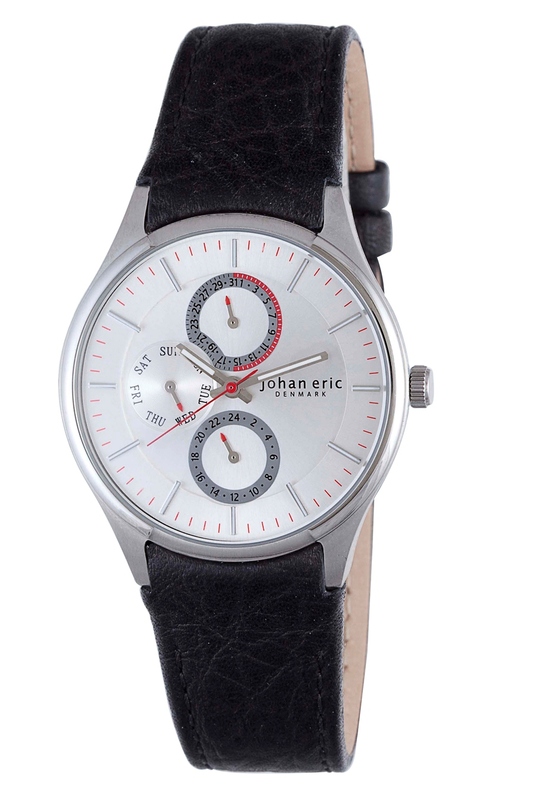 You can also follow Johan Eric Watches on Facebook and Twitter. 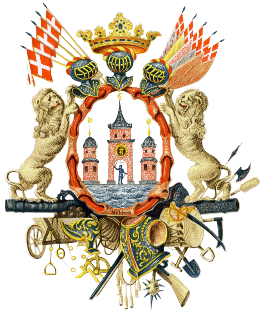 Please subscribe to the Gevril Group newsletter and blog.